Dear stinging nettle, you are a plant much maligned by many, myself included. Yes I am intending to change my ways. Even though, uninvited, you have made yourself quite comfortable all through my orchard, and appear to take some pleasure in traumatising many an unsuspecting child by brushing against their legs and delivering your surprise attack. I’m thankful, there’s always some dock growing nearby or some of my everyday balm on hand to soothe the pain, but more often it’s the fright that lingers. You’re not shy are you, of dispensing your healing gift and I suppose that is how mankind discovered all those aeons ago what it was you really wanted to say. After receiving multiple stings from your delicate leaves some longstanding joint pain would miraculously disappear for days, weeks or even months. It was hence named urtication, after you of course, and folk would flail themslves with your leafy branches wherever they had pain and inflammation. I hope I’m forgiven all those times I cursed you, as your butterfly-wing leaves glanced against my skin reminding me of your unique personal signature. For more details read the full post. Many of our plant medicines have historically been used for a multitude of ailments. In these blogs I focus on those conditions that are quite particular to the plant in question. 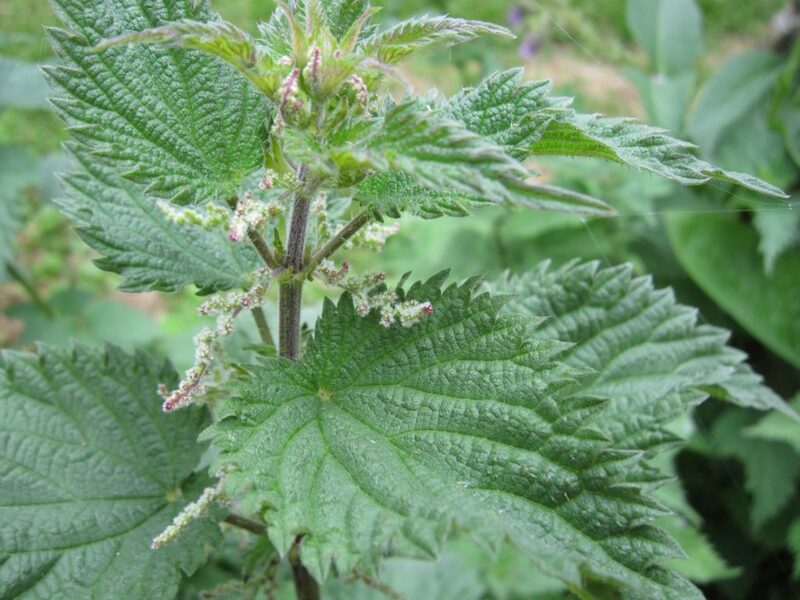 For stinging nettle it’s rheumatic/arthritic pain and inflammation including gout as well as for benign prostatic hyperplasia (BPH). Let’s get preventative and take a blood purifying nettle tonic for an annual spring clean.? Common names; Stinging nettle, burn nettle, common nettle, nettle. Parts used; whole plant; leaves, stems, flowers, seeds and roots. Habitat; stinging nettle originates from Europe and Asia but has colonised all temperate regions of the world. It prefers damp nutrient-rich soils but can be found in a wide range of soils and conditions. It settles under hedges, in open meadows and grasslands, along streams and in waste-lands. Therapeutic actions; diuretic, astringent, anti-inflammatory (by inhibiting the production of prostaglandins), astringent, anti-dandruff, antioxidant, antimicrobial, anti-ulcer, anti-allergenic ( histamines can act on allergic rhinitis & seasonal allergies), analgesic, emmenagogue, galactogogue, blood tonic and cleanser, antidiabetic. Constituents; formic acid, histamine, serotonin, acetylcholine, flavonoides, silicic acid, sterols, lectins, lignans, polysaccharides, hydroxycoumarins, volatile oils. Vitamins A, C & K. Potassium, iron & silica. Medical uses; in Germany stinging nettle is widely used for prostate disorders and as a diuretic. As an ingredient in herbal medicines for rheumatic complaints and inflammatory conditions. Gardening Applications; as a liquid fertilizer in organic gardening being high in silica (strengthens plant fibres) and as an activator for the compost heap. Nettle is also a valuable food for several species of butterfly, providing larval food for among others the Peacock Butterfly (Europe), the Small Tortoiseshell and here in New Zealand, the Red and Yellow Admiral. As an aside I also like to keep some ragwort growing for the Admirals as well. Food uses; as a green vegetable, in soups and stews. When cooked or dried the stinging effect is neutralised. Nettle beer is brewed from the young shoots. Other uses; The plants are grown commercially for extraction of the chlorophyll which is used as a green colouring agent. Nettle fibre was once used to manufacture cloth, from fine linen to coarse sacking. Recipes; as a spring tonic, and a blood purifier take a nettle tea/infusion first thing in the morning for a month. To make; pick a small handful of fresh leaves (carefully to avoid getting stung) or use 1 tbsp dried leaves. Pour 1 1/2 cups boiling water over the leaves, cover and leave to stand for 30 minutes. Strain and drink 1/2 to 1 cup. Contra-indications; nettle may compete with diabetic medications, blood thinners, and heart medications and lower blood pressure. If you are using herbal/medicine plants and also taking prescription drugs you need to work with your doctor as it’s quite likely that you will be able to decrease the pharma meds as your body responds to the herbal medicines. Naturally by Trisha products containing stinging nettle; Aches and Pains balm, shampoo bars. I USE TO GROW THIS TO HELP MY HAYFEVER BUT HAVE SINCE SHIFTED HOME AND LOST MY PLANT.IS THIS THE SAME STINGING NETTLE THAT GROWS IN THE PADDOCKS.IT DOSNT LOOK QUITE THE SAME.I WAS WANTING TO BUY THE MEDICINAL KIND, DO YOU KNOW WHERE I CAN FIND THIS PLANT. THANKYOU. 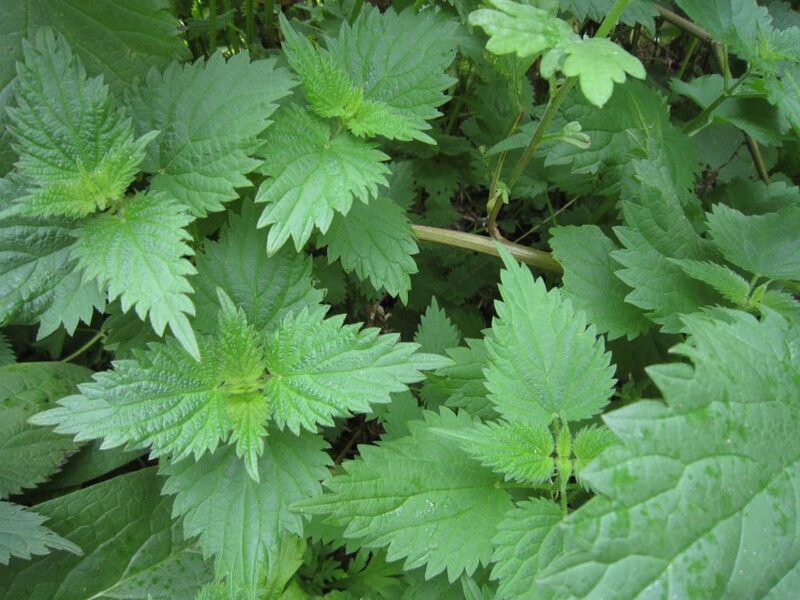 Linda, send me an email trisha@naturallybytrish.com to sort out some stinging nettle for you.